It’s Monday! What are you Reading? On Halloween night there was torrential rain in Vancouver that prevented a lovely tick or treat scene like this one below (from Muth‘s Zen Ghosts). Still it was a cozy week for lots of seasonal reads! Join Kellee and Jen at Teach Mentor Texts with their weekly meme that highlights what everyone has been reading from picture books to young adult novels. It is a fantastic way to learn about new books and share favourites with others. In my reading world . 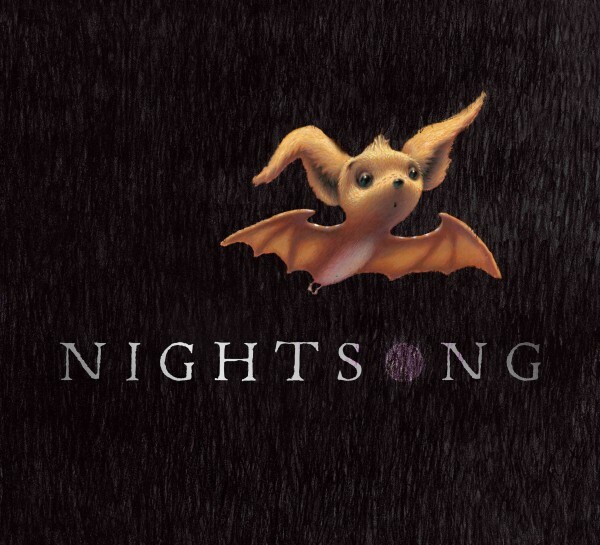 . .
Night Song written by Ari Berk and illustrated by Loren Long. Long’s illustrations make this an absolutely stunning book about a little bat’s first solo journey. Guided by his “good sense” little Chiro is able to both explore the world and then find his way home. While this book does not use the word echolocation, this is clearly the good sense being referred to and there is lots of text that helps the reader to talk about the concept. I found children wanted to study the pictures individually after the story was read aloud because it was just so gorgeous with the black as pitch pages. 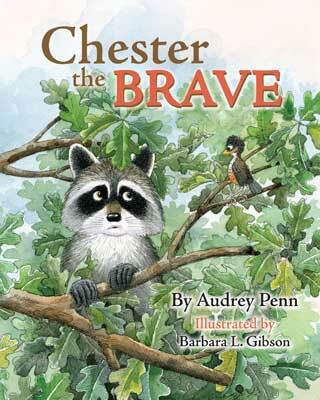 Chester the Brave written by Audrey Penn and illustrated by Barbara L. Gibson. This is another story in the Kissing Hand series that explores being brave and demonstrating courage. Sweet but I find I like the illustrations more than the story with these books. Dog in Charge written by K.L. Going and illustrated by Dan Santat. I ordered this through Scholastic when I saw Santat‘s signature illustrations. 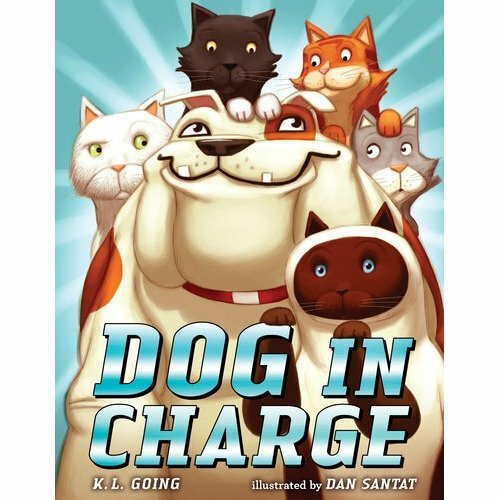 It is a very funny little story about a dog left in charge of a bunch of cats that get into everything! When it all just seems like too much, Dog compulsively devours a bag of cat treats and takes a nap. The cats, who love Dog, decide to clean up their messes and the family are none the wiser when they return from their outing. So . . . I’m wondering where does one find housekeeper cats? Those are some pets I could have a lot of! 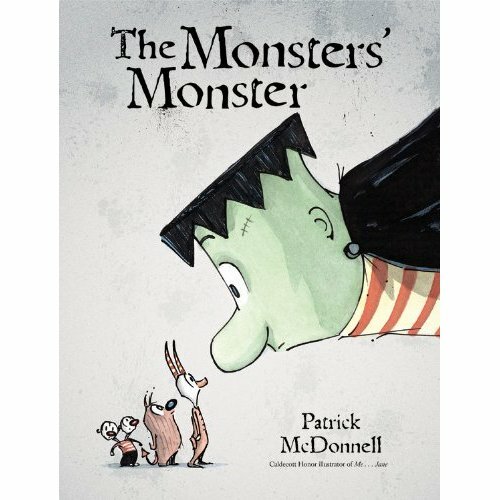 The Monsters’ Monster by Patrick McDonnell I am a huge fan of Patrick McDonnell and found this story to be absolutely delightful. This was our BLG book of the week and you can read more on the blog here. The best part of this book is the quirky little wanna be monsters with some of the best character names I have seen in a while: Grouch, Grump and little Gloom ‘n’ Doom. The final scene on the beach is all about the little moments of happy we all need to savour. Highly recommended. 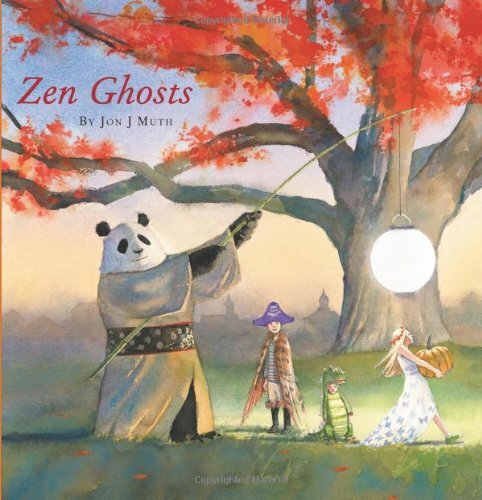 Zen Ghosts by Jon J. Muth For those who know Muth’s Zen . . . stories, this is another that will quickly become a favourite. I love that it is a story within a story. After everyone goes trick or treating, Stillwater the Panda tells the children a story based on a koan from The Gateless Gate that forces the reader/listener to question what is real and not real. And then just to sit and be fine with not really being sure. So much to explore within this book makes it a story that children of many ages can investigate. The illustrations, as in all Muth books, are exquisite. 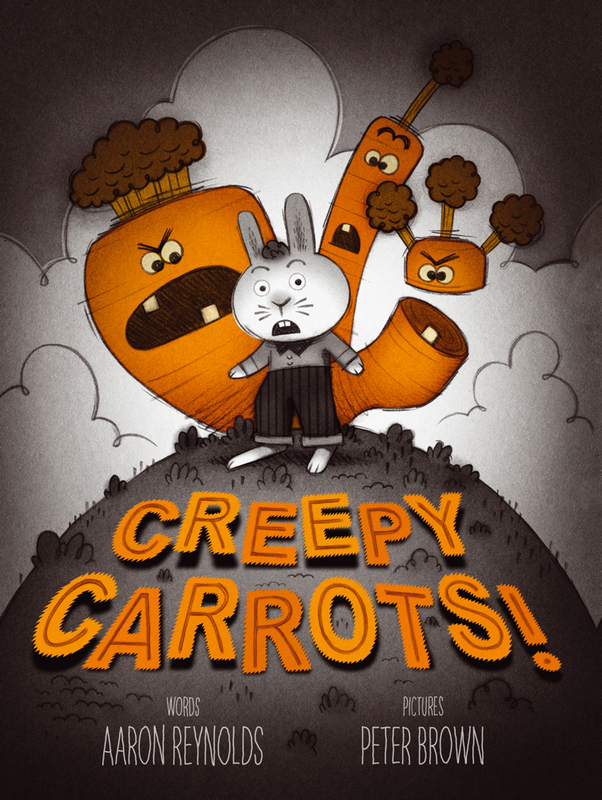 Creepy Carrots written by Aaron Reynolds and illustrated by Peter Brown. I was very excited to get my hands on this book because I am such a Peter Brown fan. His illustrations are fantastic and accompany a story told by Reynolds that is actually quite sophisticated. This book on the surface is about a little rabbit being terrorized by some menacing carrots even thought nobody will believe him. What looks like a creepy carrot in the shadows of the night is often revealed to be something else entirely when a parent arrives and turns on a light. But are the creepy carrots really just a figment of Jasper, the rabbit’s overactive imagination? To be safe, Jasper builds a huge fence around the carrot patch to contain these orange vegetables that haunt him. In the end, the source of his fear is revealed. Do those creepy carrots really exist? Read this story that explores fear that just can’t be reasoned away in a totally clever and humorous manner. Loved this book! 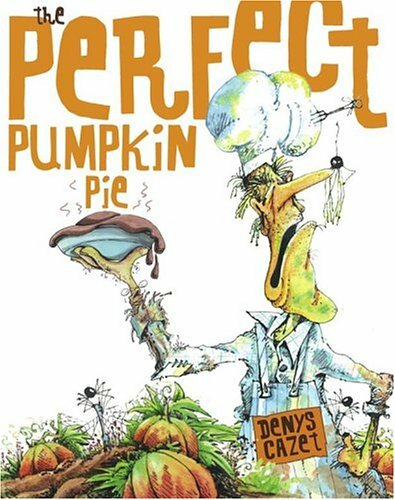 The Perfect Pumpkin Pie by Denys Cazet This book has been in our library for a few years but I had yet to read it or share it with a class. Wow, had I been missing out!! This book is certainly a perfect spooky Halloween read featuring a ghost that rises out of the pumpkin patch threatening to haunt the residents of the nearby house if they don’t provide him with the perfect pumpkin pie. Yet while it seems like it might even be too scary for a primary read aloud, it is actually more full of humour, rhyme and pumpkin pie spices than anything else. And a very spunky Grandma who I adored. The illustrations are completely bizarre and unique to make this one of my new Halloween favourites. 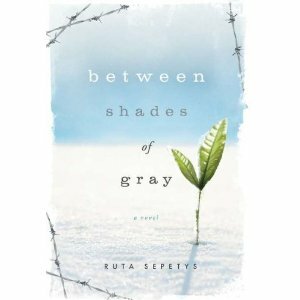 Between Shades of Gray written by Ruta Sepetys This is a harrowing read. The images are disturbing and the violations against all basic human rights and human spirit are intense. In Lithuania, in June of 1941, fifteen year old Lina is forced from her home along with her Mother and younger brother by the Soviet Secret Police. They travel by train to a work camp in Siberia and eventually farther north to the Arctic Circle. Survival is based on luck and perseverance that does not seem possible. Many, many die. Lina is compelled to share her experiences through her art and her drawings recount terrible experiences suffered by her family and those of the other Lithuanian people around her. This story gives us a sense of the horror that happened to so many under Stalin’s rule. Many details were new to me. Ruta Sepetys brings voice to many who were completely silenced by death or extreme fear. A very important young adult read. 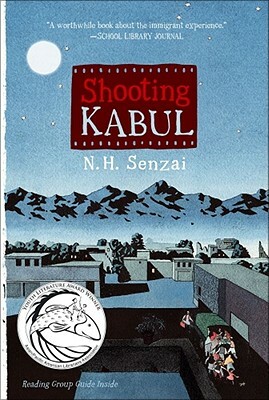 Shooting Kabul written by N.H. Senzai. This book has been on my “to read” pile for over a year and I found that once I picked it up, I couldn’t put it down. I finished it in just over twenty-four hours. This book begins in Afghanistan in 2001 with a family fleeing across the border to Pakistan to then travel on to America. During the dramatic escape, six year old Mariam is left behind and her family is all tortured by their guilt and their extreme sadness at not being able to locate her from their new home in the U.S. Fadi, Mariam’s older brother hears about a photography contest that comes with a winner’s prize of a plane ticket to India. He becomes convinced that he can win and get back to Pakistan to rescue his younger sister. Meanwhile, the events of 9/11 happen and the family has to deal with racism, prejudice and attacks on their neighbours while they continue to grieve for their missing daughter. A book that speaks to the strength of family and of the faith of the Afghan people in a peace yet to come. Highly recommended. Tonight I begin the novel Beneath my Mother’s Feet written by Amjed Qamer.